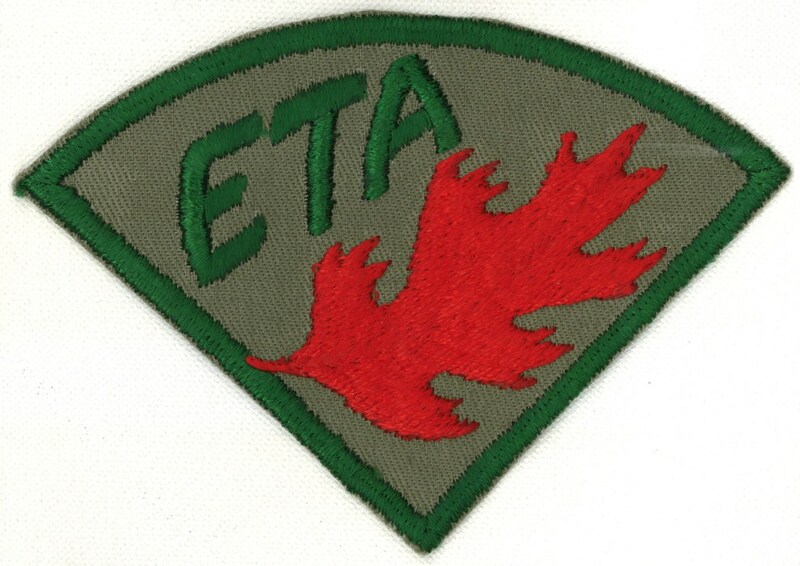 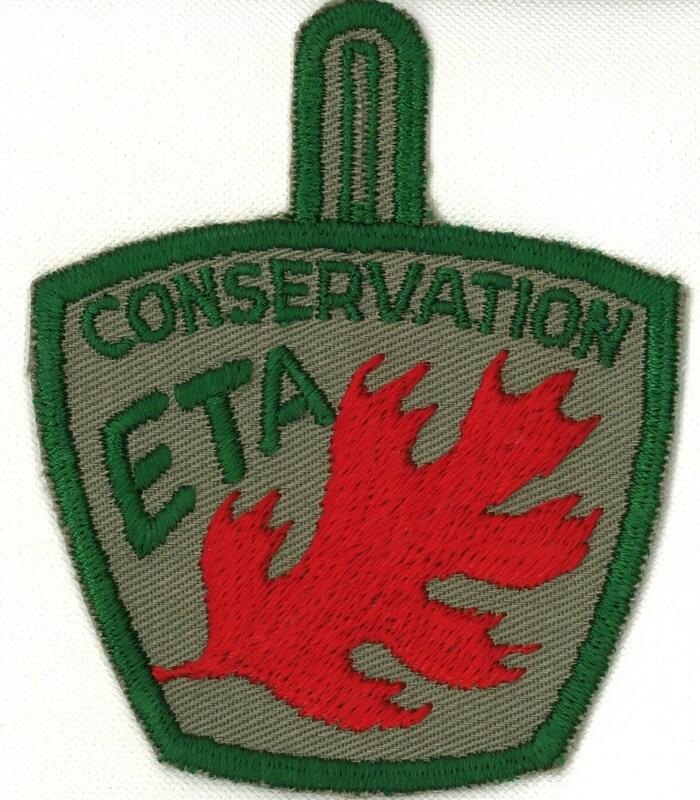 I used to have one of these on neckerchiefs (orange with black piping, see below) and I’ve seen a couple of other colors (one green, one salmon, and one yellow). 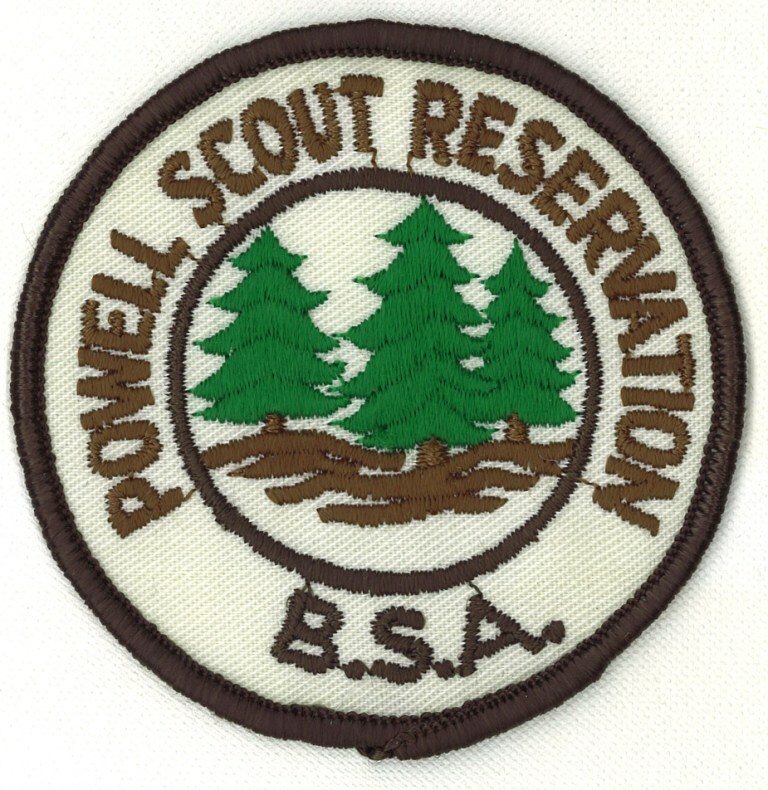 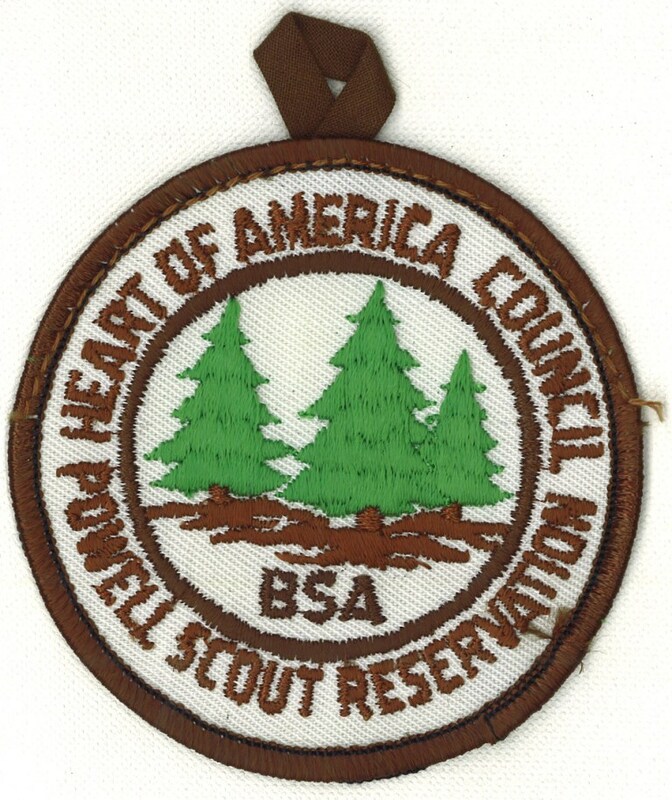 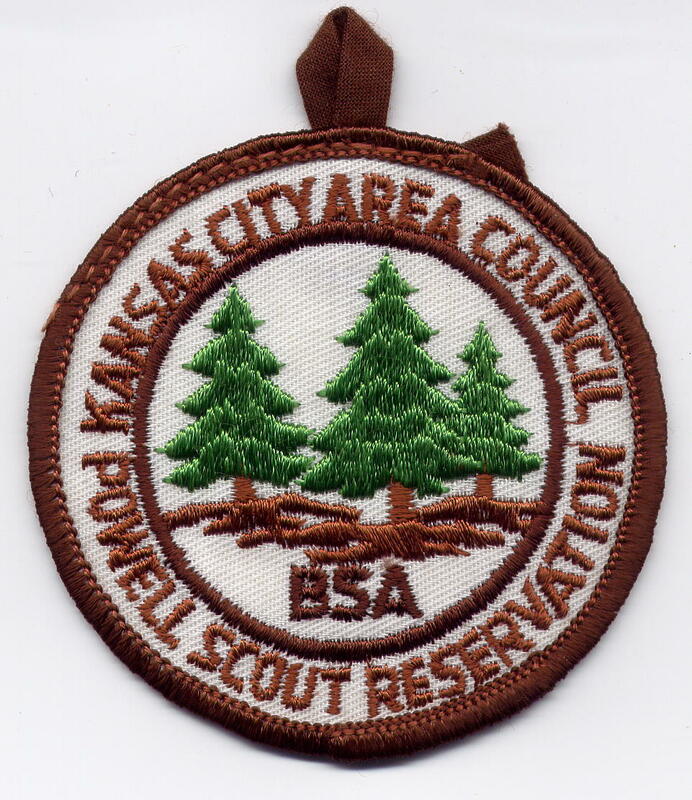 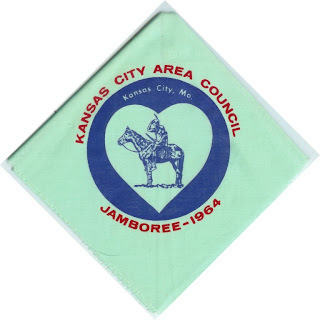 My guess is that the different colors were used by different Jamboree troops from Kaw Council. 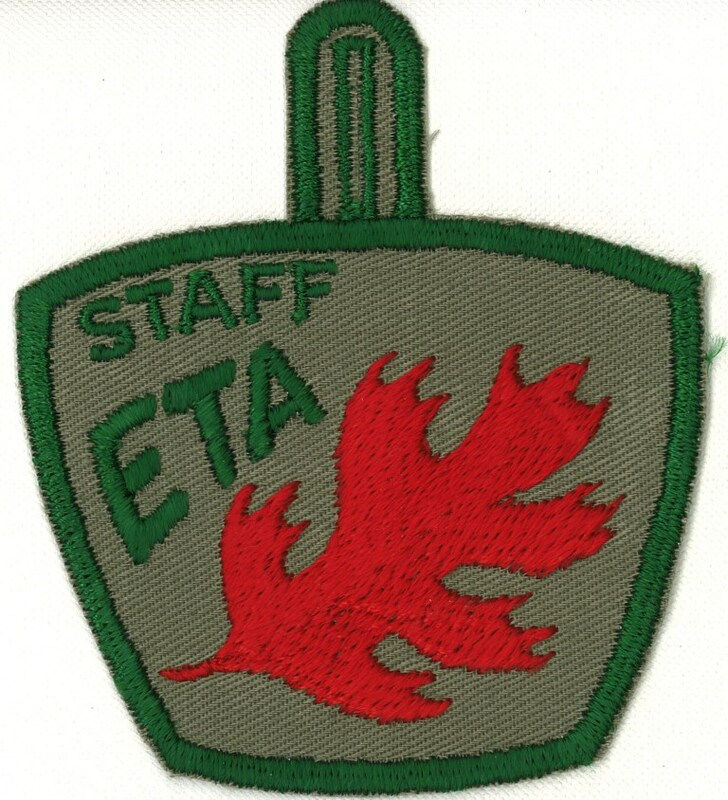 The design is a little goofy, but it is an interesting piece. 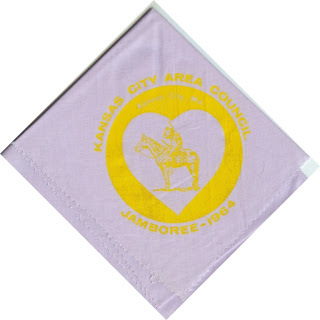 For other Jamborees, I’ve seen multiple color variations for Kansas City Area Council Neckerchiefs. 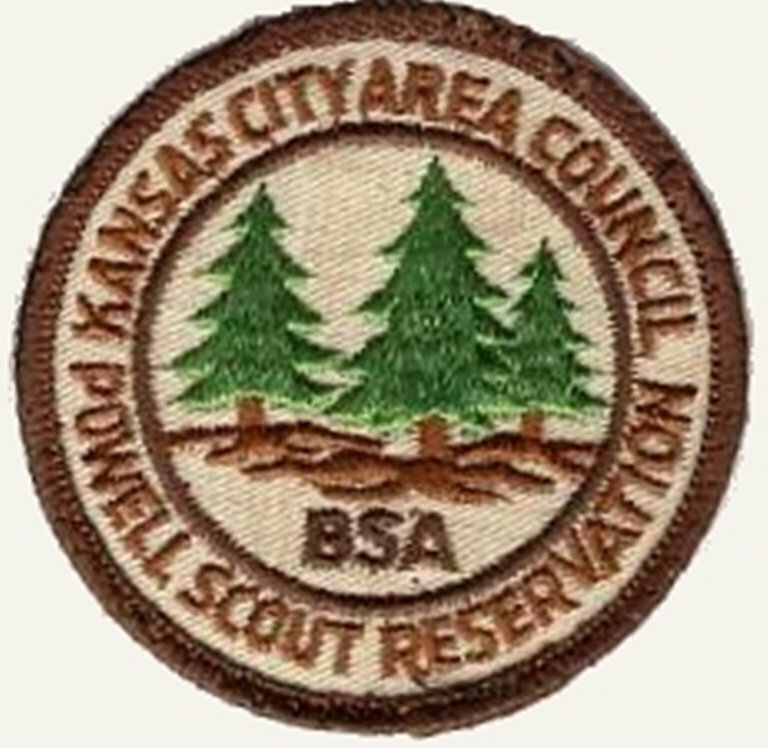 As with their Kaw Council counterparts, I assume these are for multiple troops. 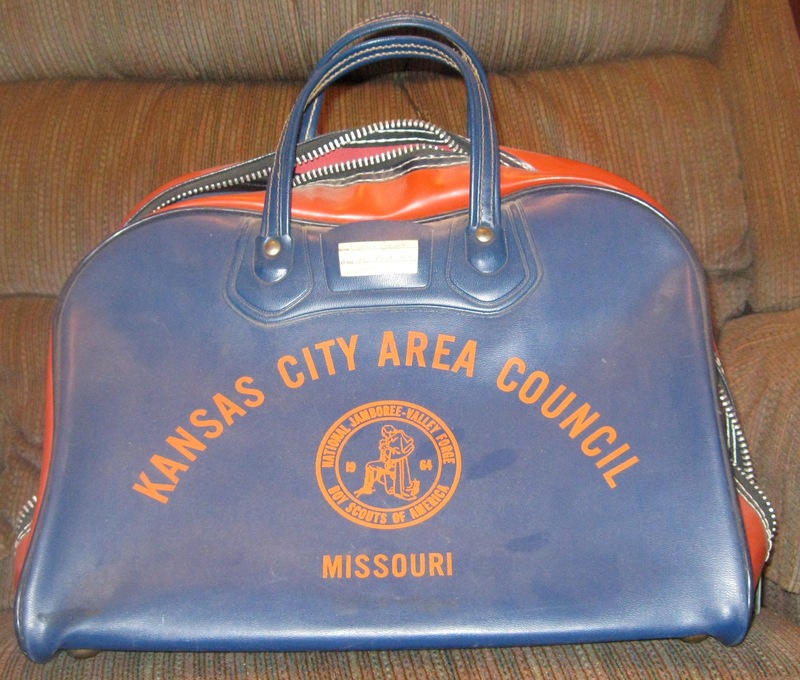 I am not sure how this was used. 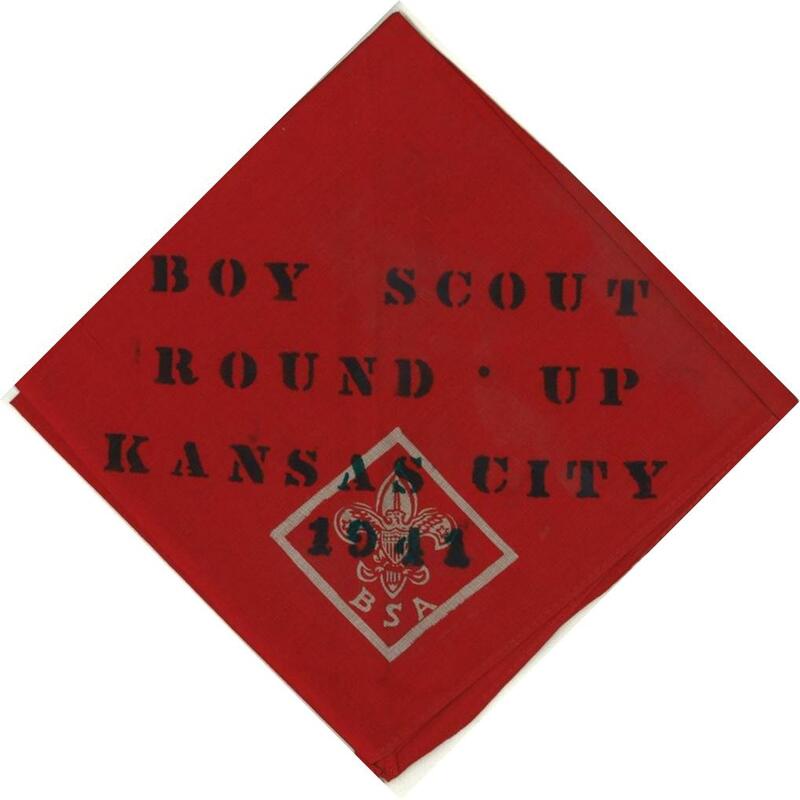 It could have been given away from a booth by the Scouts or distributed in some other way. 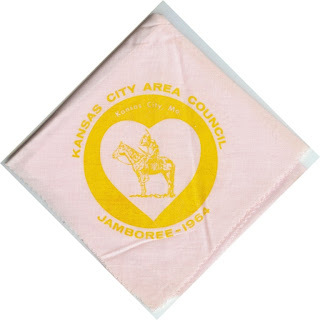 Did anyone attend the Jamboree? 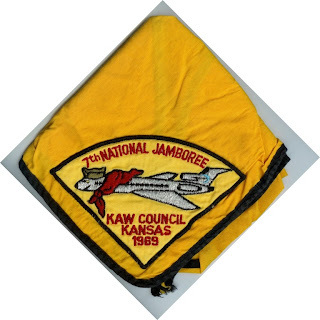 I know of some other Kaw Council/KCAC contingent items from different Jamborees (some not in my collection). 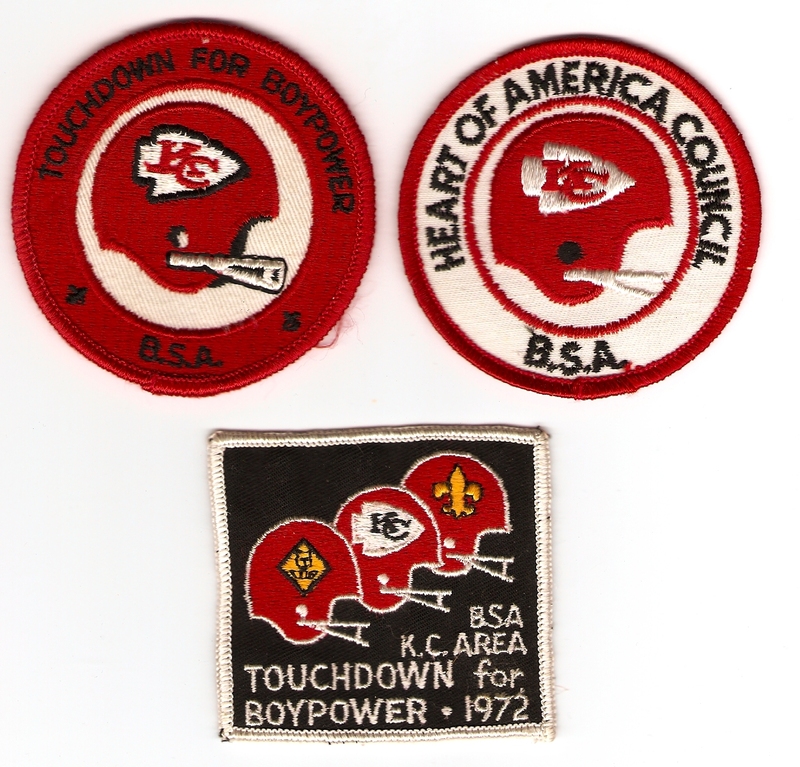 I’ll try to dig up some more images to share.